A Better Habitat for Fish! Waterways Consulting completed a restoration plan for Jackson and Netarts Creeks for Oregon Parks and Recreation District at Cape Lookout State Park. The focus of the effort was to evaluate the hydrology, geomorphology, and habitat conditions of Jackson Creek, the principle stream that flows through Cape Lookout. Please see the article below that was written up on the Oregon State Park Stewartdship Division website. John Dvorsky, Principal Geomorphologist at Waterways Consulting, Inc. was highlighted in the Molalla Tribune on February 12th, 2013 working on a project being completed at North Fork Molalla River. 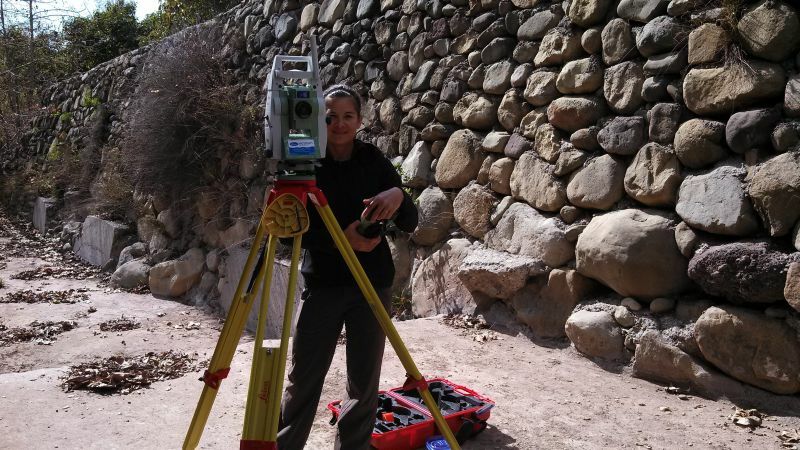 Waterways has recently purchased new state-of-the-art “Leica Geosystems” surveying equipment. The new robotic total station and GNSS RTK Rover will enhance our current surveying capabilities, allowing Waterways’ survey crews to work more productively and efficiently in the field. On many projects, the robotic total station can be operated by a one-person crew, reducing staff time and budget requirements. The GNSS RTK Rover is a completely wireless GPS network rover that allows our survey crews to conduct GPS surveys without the need for a base station. These survey instruments will be used to integrate conventional and GPS surveying on our projects to create top-quality mapping products. Waterways Consulting assisted with the Watsonville Slough Restoration project that has recently been nominated as a 2013 public works project of the year.